Learning all about Linux is about to get easier and more organized with a two pronged push. 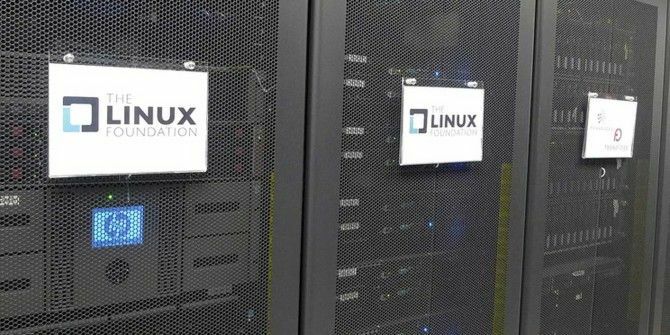 In a major educational initiative, The Linux Foundation is building a Massive Open Online Course (MOOC) program in partnership with edX. The Linux Foundation is also starting a new Authorized Training Partner program with AT Computing, Enea, OlinData and SolutionWare. Access to formal training and high-quality training materials will help to accelerate the adoption of Linux and help expand the community. edX is the nonprofit MOOC platform launched in 2012 by Harvard University and Massachusetts Institute of Technology (MIT). It is an ideal platform for delivering a formal quality course to participants worldwide and to bridge the gap between demand and supply. A previous course — Introduction to Linux – earlier available for $2,400 is now free. The Linux Foundation will be just one of the organizations contributing to edX with high-quality training materials. The Linux Foundation continues to provide free learning resources on its site as well. Our mission is to advance Linux and that includes ensuring we have a talent pool of Linux professionals. To widen that talent pool and give more people access to the opportunities in the Linux community and IT industry, we are making our training program more accessible to users worldwide. We are partnering with the leader in MOOCs to enable this access. The Linux Foundation Authorized Training Partner Program will use local partners to deliver training. This is not free and students will have to pay a fee at the training points. The instructor-led approach follows the traditional model of training supported with high-quality materials from The Linux Foundation. The Linux Job Report 2014 found that Linux has widespread acceptance. There is a huge talent gap, and there lies the opportunity. The courses will also help to coalesce the scattered nature of Linux learning and teaching. Are you a Linux pro? Maybe you want to be. I wish those Linux course available in my country. The edX courses are available throughout the world. This is a great resource to have. Learning Linux is easy if you're hungry to learn, but some people want a little more structure, a little more guidance. Hopefully, these courses will provide the required structure. That is their intention. And you can bet that many will come along as Linux is growing in popularity. I started with Mint 7 then 9 then 13 seven years ago and switched to pclinuxos mate recently. I consider my self to know enough about linux to do all normal to difficult tasks. These courses can get me into the advanced stuff I'm eager to learn. Great article. I always wanted to learn how to use Linux-based operating systems so I could get the most out of them but I've never really bothered till I tried Linux Mint the other day and loved it. Thanks for the links.